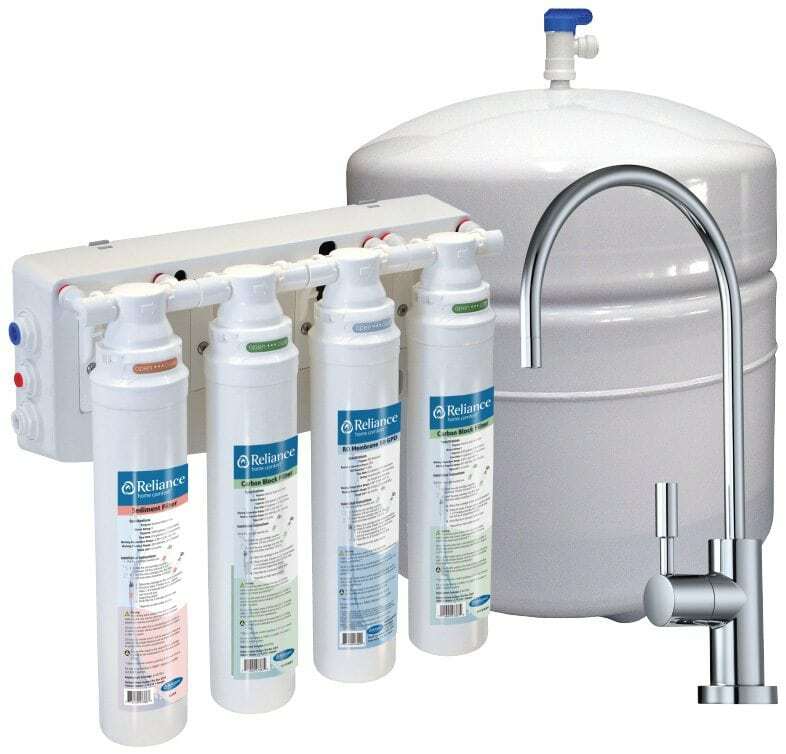 Reverse osmosis filter solutions (RO water filters) from Reliance Home ComfortTM are convenient and economical ways to improve the purity and taste of your drinking water. They can be installed at point of water consumption, such as the kitchen sink. The four-stage filtration process can help eliminate a variety of common contaminants so you can enjoy cleaner, clearer and refreshing water for all your drinking and cooking needs. Carbon Filter: Removes elements such as chlorine and chemicals that cause water to taste and smell unpleasant. Considering a Reverse Osmosis Filter for purer, better tasting drinking water? Watch this video to learn more about RO systems and how one may benefit you and your family. * Pricing only available in Ontario and the greater Winnipeg, Regina, Saskatoon, Calgary and Edmonton areas. Monthly rental payment for the Reliance Reverse Osmosis Filter system is $24.99 plus applicable taxes (13.59% APR in Ontario). APR varies by province from 11.66% to 19.34%. No charge standard installation. Subject to terms and conditions. Subject to availability, not available in all areas.